A small, cosy lodge on the shores of Lago del Desierto serves as your base for a 6-8 hour hike to the famous Laguna del Los Tres, a visit to Perito Moreno glacier and a number of optional day excursions of your choice. An experience that combines the best of this massive national park's scenery and accommodation. You will be picked up at the airport and driven directly to Perito Moreno Glacier. This is about a 2-hour journey with a few photo stops on the way; you will learn all about the glacier, the area, etc, en route. At the glacier, you will have time to explore the walkways that provide great aerial views of the top and the face of the glacier. The roar of the calving is amazing too. After a couple of hours here you will get back on the road and head back to El Calafate. You will be dropped off at your hotel. Transfer duration: 4 hours You will leave Calafate in the morning and travel 225km (2.5hours) of paved road to Chalten and then along the gravel road towards Lago del Desierto for another 37km (90 minutes). There will be a few photo stops and picturesque viewpoints en route, too. The lodge's boat will be there to meet you and will motor you across to your new home for the next two nights! You will meet the owners and the local guide who will make you feel very welcome and talk about what you can do while you are there. A free day to do as you please at the lodge. You may want some all-day walks or maybe just half days, a chance to go fishing or maybe just a good book curled up next to the log fire. There is no rush and decisions can be made day by day depending on the weather how you feel, etc. Everything here is paradise - indoors and outdoors! Hike details: Trek 8/9 hours. Distance: 22km. This morning you will be getting up a bit earlier, to get the boat and then drive part of the way back to Chalten. You will get out of the car at El Pilar and from here begin one of the highlight treks in the area. You start this lovely walk in a forest on a path that ascends gently. The challenging section is one hour of steep uphill to get to Laguna de los Tres, later on in the day. 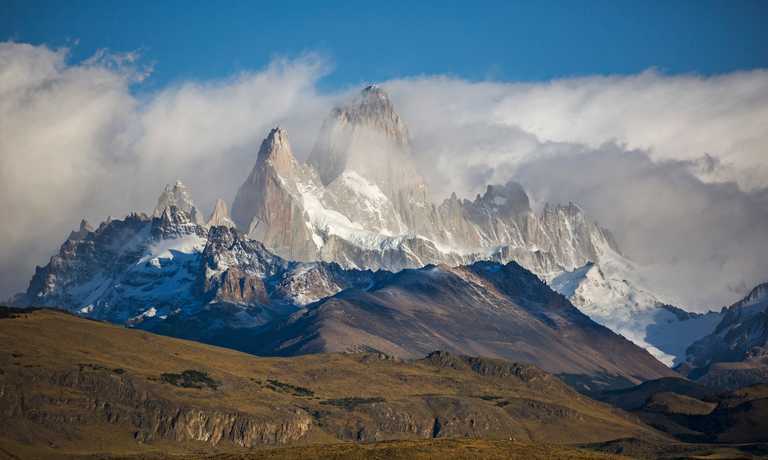 The effort is all made worth it by the breathtaking views you get at the top, of Mt Fitz Roy and its satellite mountains. Weather permitting; you will have lunch at the lagoon. You will then start the descent towards El Chalten via Laguna Capri, another very photographic spot in the national park. 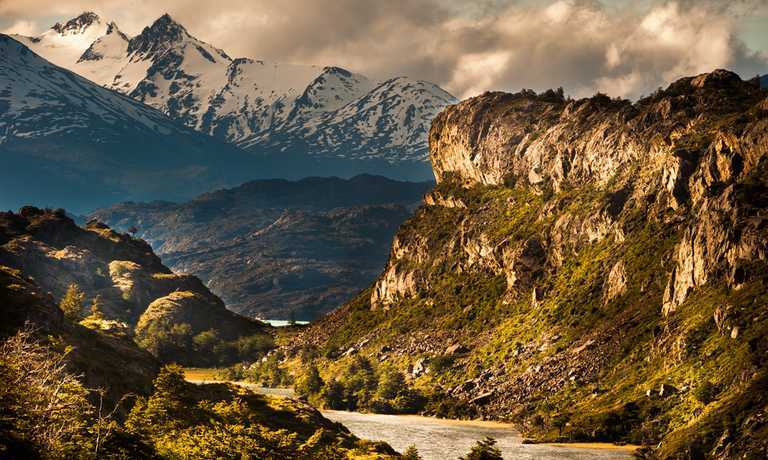 When you arrive into El Chalten, you will walk another 10 minutes to your hotel. After breakfast you will be picked up for your direct transfer to the airport for your flight. This trip can run as a group trip, with prices starting from $2,150 per person for a complete group. If you are looking to join a group or you are a solo traveller we will help to form likeminded groups of travellers. Please let us know your travel plans. Departures can be set up on a date of your choice. Price of $2150 USD per person is based on a group of 2 people.